Sciatica is a general term for pain that occurs in the sciatic nerve, in the lower back, buttocks, and legs. Patients experience varying degrees of pain and related symptoms from sciatica. Drs. Charles Arndt and Debarun Borthakur offer effective treatment for sciatica at Chiropractic Health and Wellness Center, your number one choice for pain management treatment in Sterling, Virginia. The symptoms of sciatica vary from patient to patient. Pain that radiates from the buttocks and down into the leg -- usually only on one side -- is perhaps the most common symptom. The level of pain experienced by sufferers, however, is not indicative of the severity of the injury. Other symptoms of sciatica include numbness, a tingling feeling in the buttocks and legs, and weakness in the calf muscles. If you’re experiencing any of the symptoms of sciatica, it's important to seek treatment. To address the sciatic nerve pain, the specialists at Chiropractic Health and Wellness Center stress the importance of determining the exact cause of the sciatic nerve interference. Only then can an effective course of action be recommended. Yes, it’s possible to treat the condition that's causing sciatic pain. The doctors approach the treatment of sciatica by relieving pressure on the sciatic nerve, which can completely reverse the effects of the condition for many patients. Before treating your sciatica, the team of specialists at Chiropractic Health and Wellness Center carry out a comprehensive examination to determine the full extent of your health issues, not just the obvious symptom of pain. The specialists will provide expert care and wellness advice to help you avoid further flare-ups from sciatica pain. Can I live with sciatica pain? There’s no reason to live with sciatic nerve pain. Even though sciatica pain may seem to come out of nowhere, the experienced specialists at Chiropractic Health and Wellness Center can build a life profile that will help identify factors that are contributing to your sciatica pain and offer solutions that can give relief. With the right treatment and lifestyle changes, you can manage your sciatica symptoms and often eliminate them altogether. 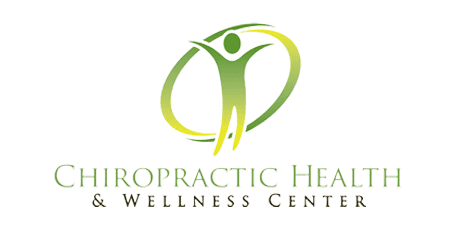 Concentrating on your overall well-being is an essential aspect of treatment. You’ll learn to view your lifestyle in an entirely new way, which will significantly reduce the occurrences of sciatic pain. If you've been suffering from sciatic pain, seek help from the professionals of Chiropractic Health and Wellness Center to receive effective treatments that are long-time solutions. Your care will continue long after you have received primary treatment. Contact the office today for an appointment.